Set up the grill; it’s tailgating season. Chicken, burgers, corn, slaw, potato salad, chips – and maybe some fresh fruits and vegetables — are just some staples for the weekly ritual that coincides with football season. Some will win before the games start by eating Florida-grown foods. 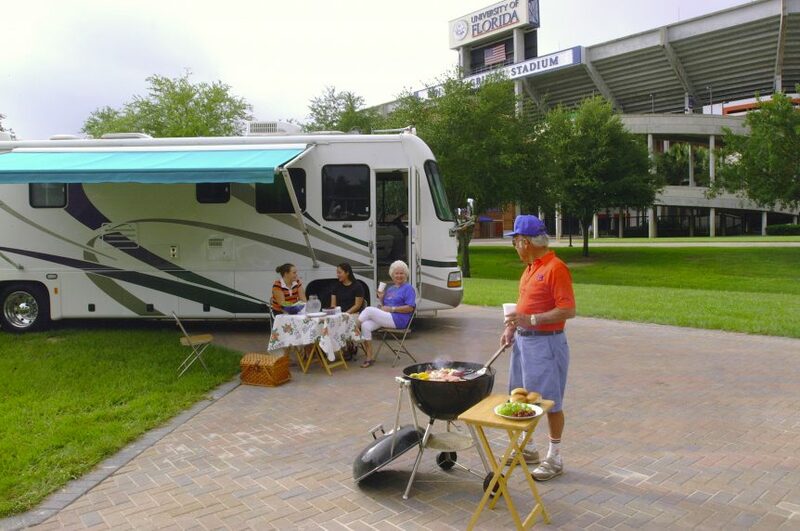 Barbeque outside of the Swamp stadium.